Perfect Home site for someone looking for small acreage parcel! This 6.58 acre parcel is conveniently located on Staff Rd, just off Old Bethel Rd and close to area schools and shopping! You'll feel like you have all the privacy and seclusive of country living without the long commute. 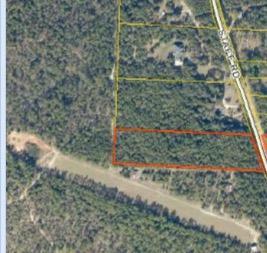 These small acreage parcels are becoming hard to find, and this property is priced to sell. Staff Rd features large executive homes and small farm properties. Whether you are looking for a large unrestricted site to build your dream home, or you just want a small piece of the world to call your own this property is a must see. The property is wooded so you can maintain a good privacy buffer, or clear the whole thing... you decide. There is an additional 1 acre available across the street. Don't miss out!